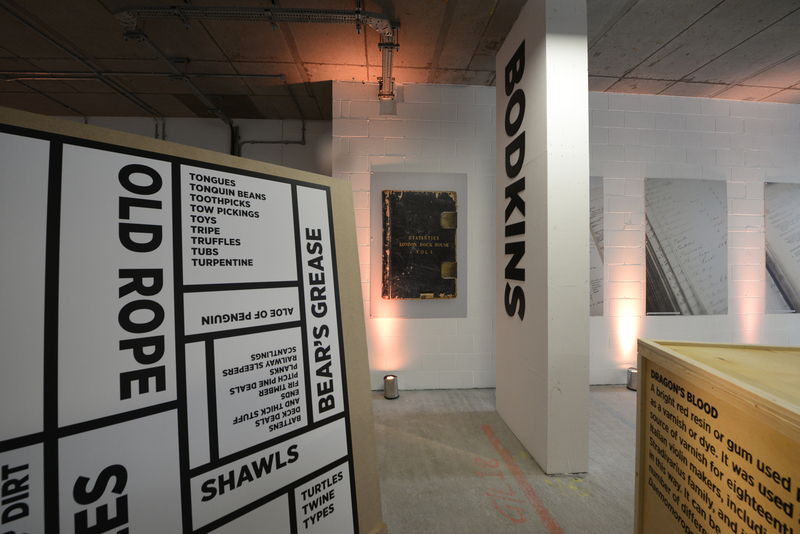 Property developers St George required signage and graphics to tell the story of Trading Words, an art exhibition by Gordon Young & Why Not Associates celebrating the wealth of goods imported and exported via the historic docks of London. 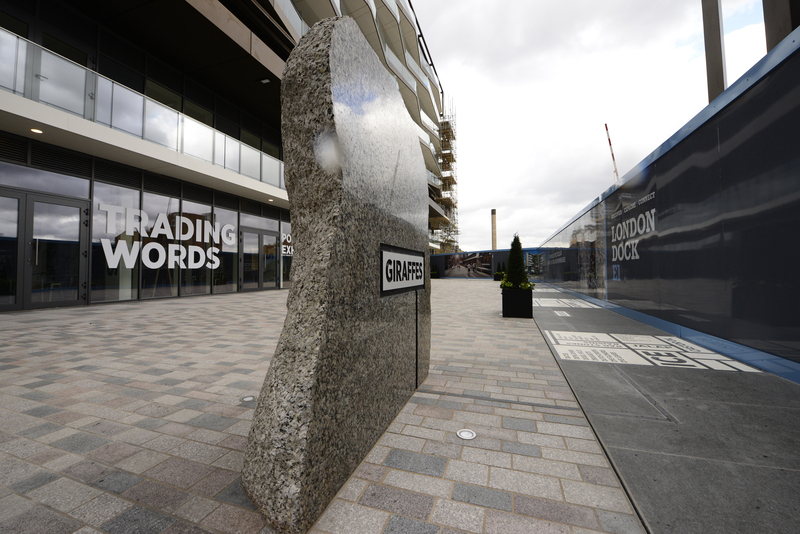 Octink were the natural choice for the project having previously supplied hoarding graphics and a variety of signage to this prestige London development and knowing our ability to provide an array of exhibition quality graphics and signage. 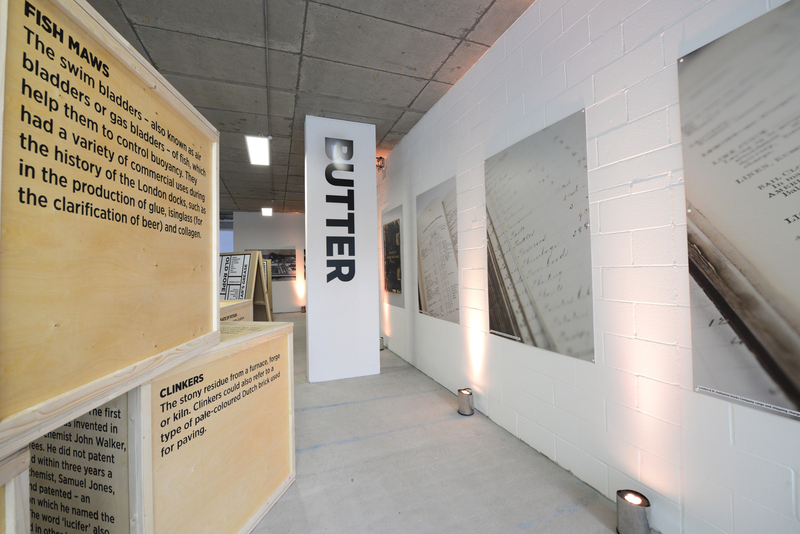 The cargo crates were a particularly challenging aspect of the project each requiring their labels to be carefully sprayed on using fret-cut stencils. 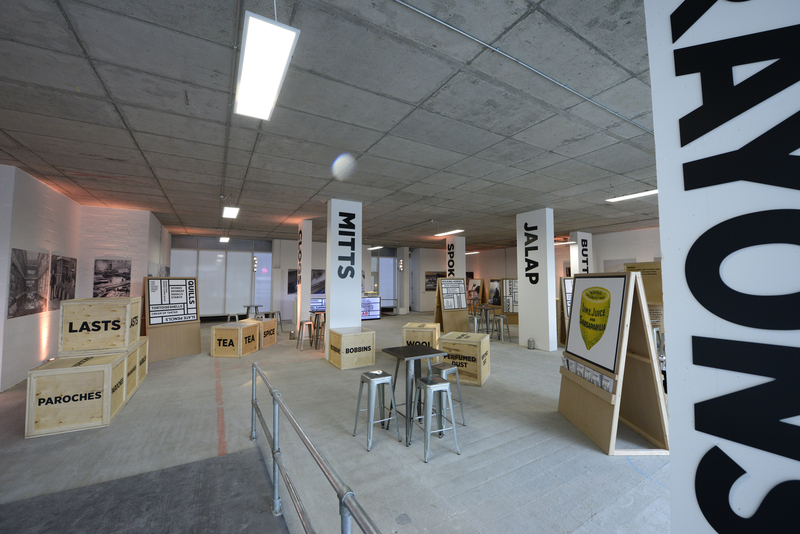 A steady hand was also required but the result was an outstanding complement to the quality of the exhibition and the versatility of the Octink team to provide a variety of graphic elements.